Life insurance is a must for everyone in today’s world. It is a great way to help and protect our near and dear ones when we are not around them to take care of their needs. However, there are various factors which are taken into consideration by the life insurance company before giving you insurance. Not only that, there are various factors which will be taken into consideration while deciding the rates and terms of the insurance policy. The rules and guidelines of the life insurance company, many a times, make it difficult for the overweight people to get a life insurance. Height and weight guidelines: You should remember that life insurance companies have their own height and weight guidelines. These guidelines make it difficult for many overweight people to qualify for Preferred Rates or Preferred Plus Rates. Apart from this, you should also note that the rules and guidelines regarding weight and height are so strict that many a times; it becomes difficult for the overweight people to get qualified for Standard or Regular Rates. You may be charged a higher rate for your life insurance if you do not meet the required height and weight guidelines. You should also note that you should not take steps to reduce your weight suddenly before taking out the policy. The insurance company will take into consideration a data of past 1 year in this regard. Cholesterol levels: Another major factor that makes it difficult for many overweight people to qualify for life insurance is the cholesterol levels. If you do not control your cholesterol levels, you may be charged a higher interest rate. Thus, you will not be able to qualify for even the standard or the regular rates. Shop around for your insurance policy: You should not think that being overweight means that you are doomed and that you may not qualify for life insurance. But that is not the case. People, who are overweight, do qualify for life insurance policies. However, you will have to shop around more in order to find out the best insurance company for overweight people. If you can find such a company, you will be able to get standard or regular rates even though you remain overweight. Do not manipulate information: You should not manipulate any kind of information that you to provide to your life insurance company. Also, you should avoid giving wrong information to them. While you are giving the exam, you should always mention the correct facts and figures. The insurance company will order your medical records to verify your health history. If they find any discrepancy, then your request for life insurance will be rejected. Thus, even though you face the risk of getting higher interest rates, you should still mention the right facts. 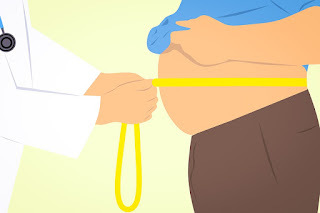 Now that you know what factors you should consider while applying for a life insurance policy when you are overweight, it will be easier for you to qualify for it.